Born and raised in the Northwest (Montana, Washington, Idaho), Lynch, who now lives in Los Angeles, keeps coming back to our neck of the woods to reincarnate one of his most potent and enduring artistic dreams: Twin Peaks. In this international TV phenomenon (1990-91), Lynch’s floating-in-a-dream, emotional-visceral storytelling penetrated the dark woods and rainy mists of a small town to reveal secret desires and enigmatic metaphysical connections. The idea of exploring beneath the surface of everyday reality is central to Lynch’s sensibility. His father was a Forest Service research scientist who probed pine trees for hidden disease, and for over three decades Lynch, the daily meditator, has plumbed the deep inner stream of his subconscious. Things hummed along pleasantly in the town of Twin Peaks. 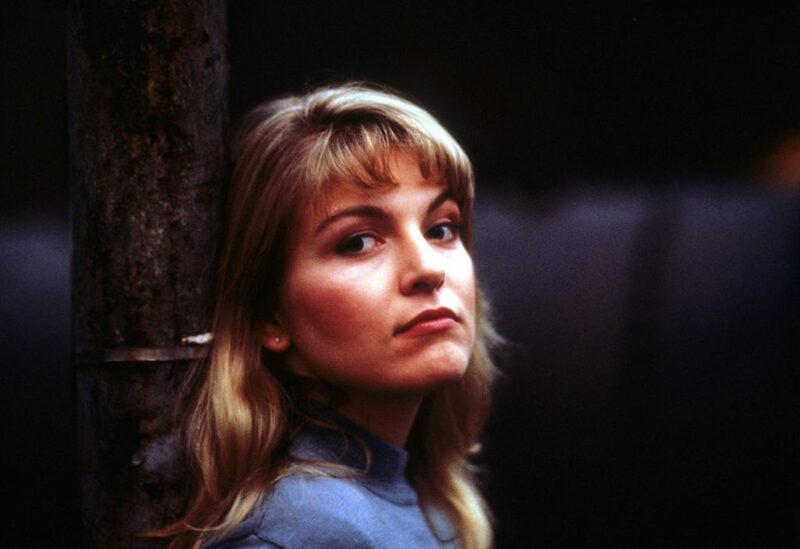 People worked in the sawmill, chowed down at the diner, drank hot black coffee; kids went to school, everyone felt safe with Sherriff Harry Truman on guard—and then the sweetheart of the community, golden Homecoming Queen Laura Palmer, was found cold, blue, dead and wrapped in plastic on a lakeshore. Unprecedented for TV, we saw the town grieve for a harrowing period of time. Nothing less than innocence was lost, chaos reigned, an almost cosmic wound was suffered. The FBI sent Dale Cooper to investigate, and he was indeed a Special Agent well beyond the parameters of his job description. He was dressed in regulation black suit, white shirt and dark tie, but his mind colored outside orthodox lines. He was a stalwart and true defender of the law, but he intuitively sought clues by throwing rocks at bottles while reciting people’s names, correctly read folks’ romantic status in a split second, entered “a box of chocolate bunnies” into the official record and voiced a child-like wonder at “those amazing trees you’ve got around here.” Cooper got to know Laura’s parents, her friends and those she loved, but all his efforts couldn’t solve the mystery of her killing. He knew that two plus two sometimes equals seven, but even his creative, non-linear mind couldn’t grasp the shape of an ancient evil that breathed in empty rooms. And he was haunted by Laura; it felt like his mission was to save a girl who was already dead. It took Lynch and his writing/production partner Mark Frost so long to reveal Laura’s killer that many viewers dropped out, and Twin Peaks was cancelled in its second season. The continuing story of Laura, Cooper, the town, and its denizens remained an energy-generating locus in Lynch’s mind, so in September of 1991 he and his cast and crew returned to the Snoqualmie Valley to shoot the theatrical film Twin Peaks: Fire Walk With Me. (This blog’s author, in stealth mode, witnessed much of the filming, as recounted in his book David Lynch: Beautiful Dark). The filmmakers expected the typical Northwest gloomy chill, but were met with a golden eighty-degree Indian Summer. Lynch believes that “things happen when they’re supposed to,” and he embraces artistic accidents. So since this prequel film would focus on Laura Palmer’s days and nights leading up to her death, he saw the unexpected death-of-summer atmosphere as a perfect fit. Lynch is very much a hands-on creator, but for part of the TV Twin Peaks run he was away making his film Wild at Heart (1990), and when he resumed production he didn’t like the way the show had meandered away from its essence. So Fire Walk With Me is the intimate, direct-experience (rather than TV’s alluded-to) story of Laura and those she loves and fears. She’s a vital young woman who chooses/is chosen by the shadow side of life, a schoolgirl of the sorrows, but with delivering angels hovering near. For, though no one can convey the terrible power and beauty of darkness like Lynch, he believes in the white-light grace of transcendence. Sheryl Lee’s stunningly committed performance as Laura can make you feel that the order of the universe is at stake. 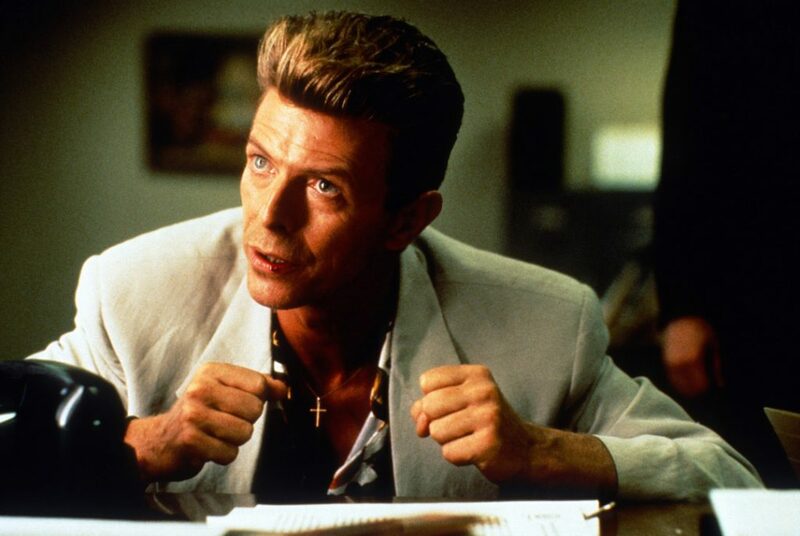 In addition to the TV Twin Peaks’ fine cast (including the late, great Catherine E. Coulson as The Log Lady and Lynch himself as FBI Inspector Gordon Cole), Fire Walk With Me features Keifer Sutherland, Chris Isaak, and a tall, thin gentleman named David Bowie. Throughout the TV run of Twin Peaks, Lynch’s hypnotic narrative bent time and space, and made dreams invade reality. So, though Fire Walk With Me precedes Laura’s death, it also follows it; it’s a prequel and a sequel—and a bridge to the future. For the third time in twenty-seven years Lynch has brought his continuing story and cameras to the Northwest: the new incarnation of Twin Peaks will air on Showtime cable in 2017. 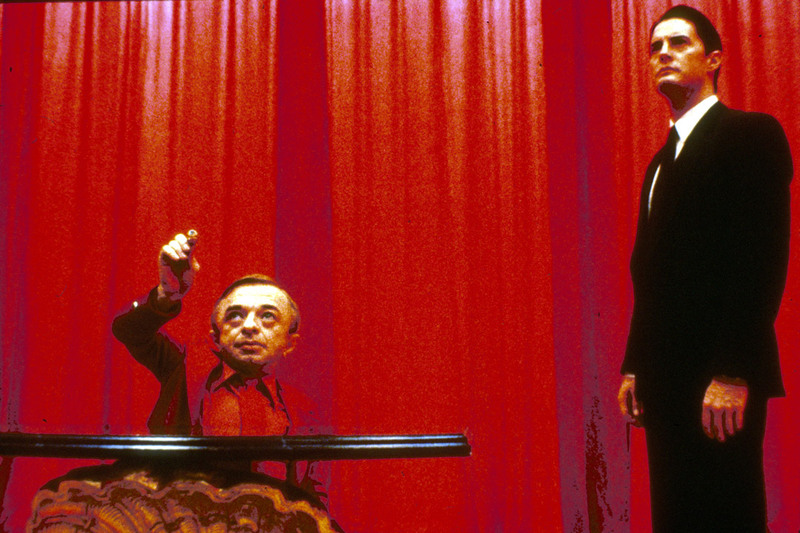 Get in the Twin Peaks mood with our Fire Walk With Me screening. The trees are green, the coffee’s black, the Red Room is as mysterious as a blue rose, and shades of good and evil color the night. Get your ticket today. Images: Photo: Photofest. Photo: ABC/Photofest, © ABC. Photo: New Line Cinema/Photofest, © New Line Cinema.